Sat, 5.9.2015, Day 2 (cont'd from here): The dandelions are cooked down (image above). 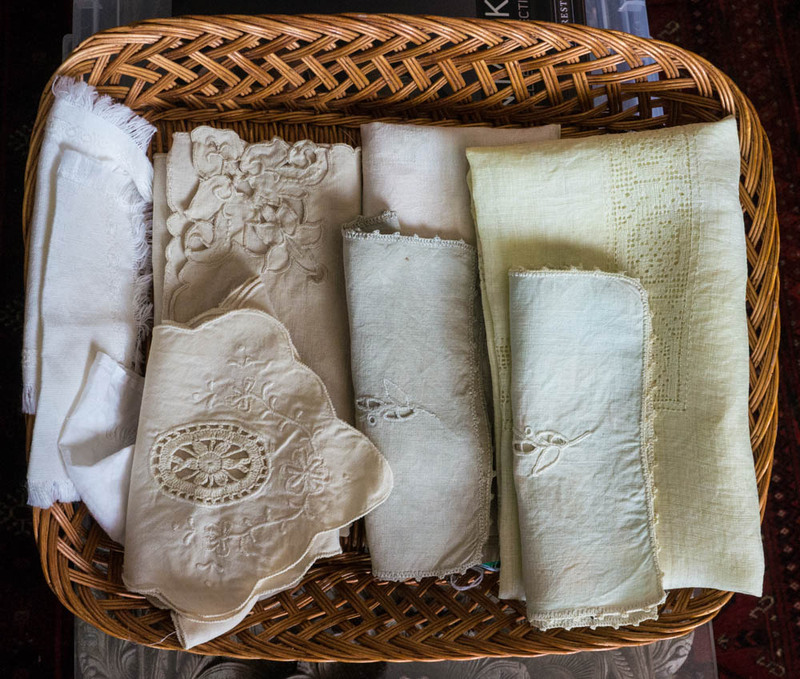 The linen is being prepared (image below). (1) Linen already prepared with tannin and alum is being soaked to reopen the fibers. 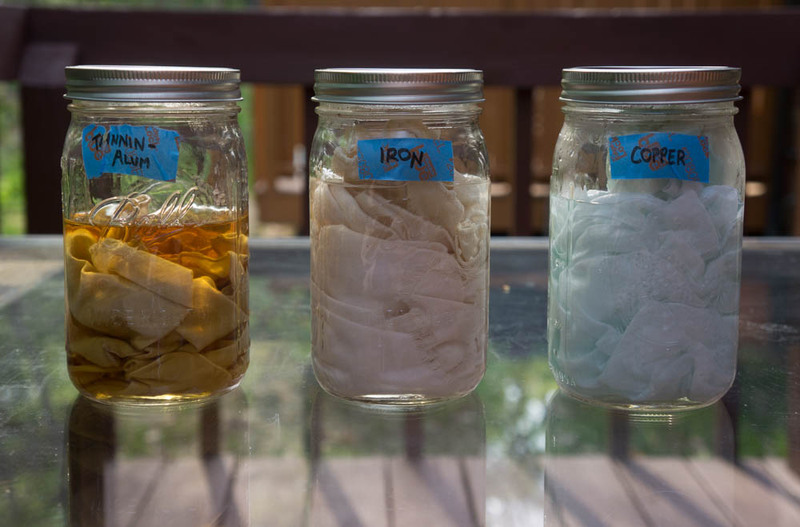 (2) Linen is soaking in a broth I made months ago with rusty bits and vinegar, for the iron (which lends darkness). (3) Linen is soaking in a broth I also made months ago with copper bits and vinegar, for the copper (which lends a green tone to fabric). Sun, 5.10. 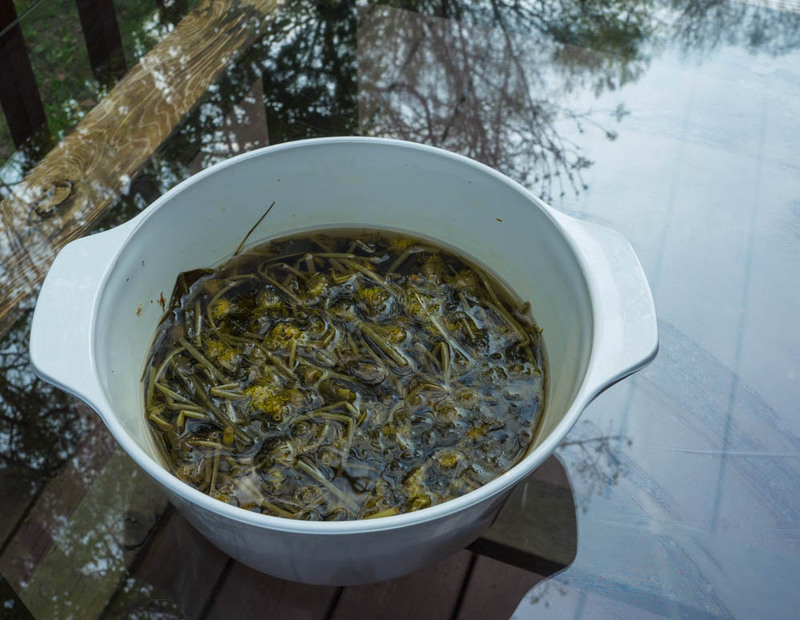 2015, Day 3: Mordant solution has been replaced by simmering dandelion broth (below). The copper-prepared linen looked so pale, I added some seawater from Ponce Inlet, Florida, for a zap of salt. The final product is subtle, to say the least (photo below). The stains on our dandelion-collection bag are darker than my multi-day process yielded. 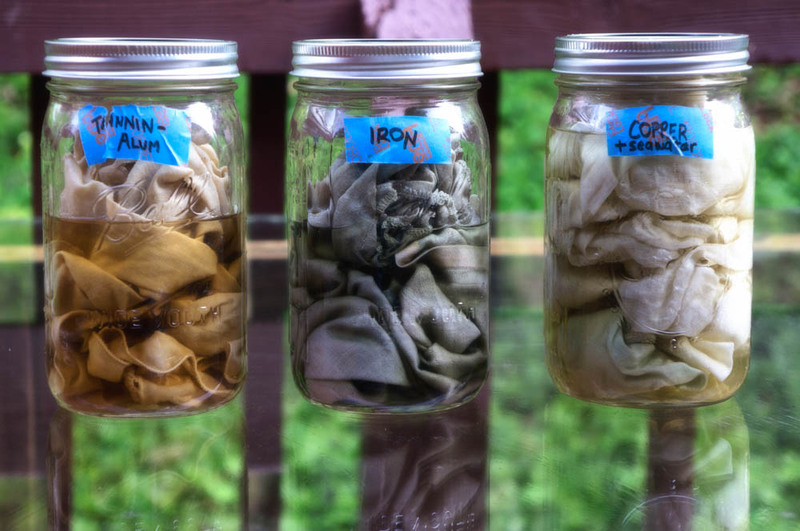 L-R: undyed; with tannin/alum mordant; with iron mordant; with copper + sea water mordant. One piece is a lovely pale yellow (far right). The rest are meh... Wish I were more into neutrals.